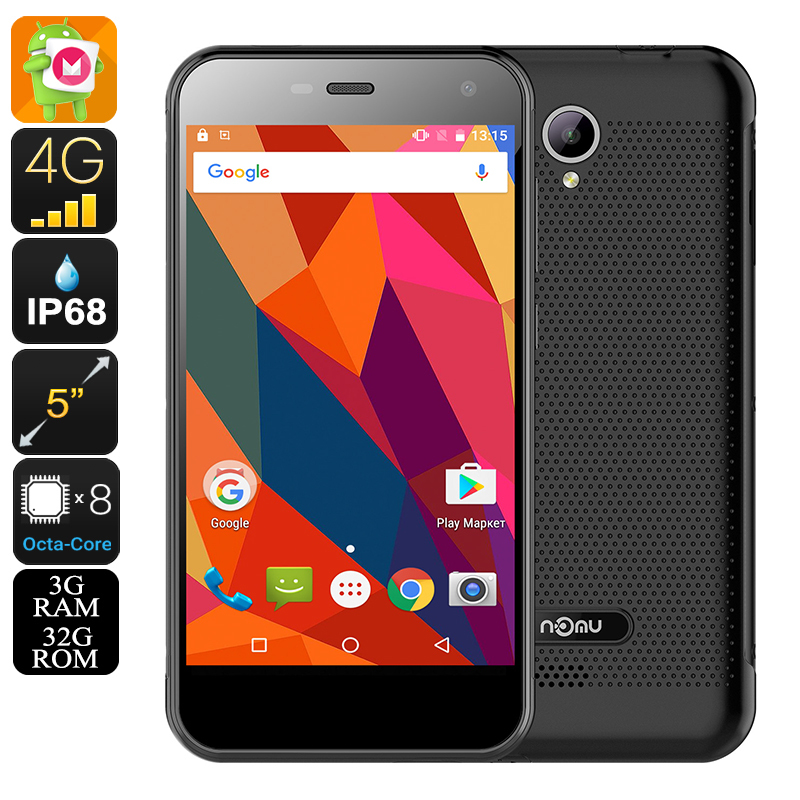 Successfully Added HK Warehouse Nomu S20 Smartphone - IP68, Quad Core CPU, 3GB RAM, 4G, Android 6.0, 5 Inch Display (Gray) to your Shopping Cart. No matter where you’re headed, the Nomu S20 rugged phone will follow you wherever you go. Featuring a fully rugged design, this Android phone is extremely durable and can handle anything you throw at it. With its IP68 rating, this Chinese smartphone is fully resistant against water, dust, drops, and more. No longer will there be the need to worry about your smartphone when heading out on your next outdoor adventure, this extremely tough and durable rugged smartphone has been specifically designed to withstand the harshest of environments. Featuring a beautiful 5 Inch HD display the Nomu S20 allows you to enjoy all media and games in stunning detail. Topped off with Gorilla Glass 3, there is no need for you to worry about scratching or breaking your screen as it features an ultra-tough protection. With its 3000mAh battery, this Chinese smartphone lets you enjoy all your phone’s features for hours in a row. With a standby time of 72 hours you can head out into the wild, filled with confidence as, with this smartphone at hand, there will be no need to worry about running out of juice anytime soon. By supporting Dual-SIM card slots and two IMEI numbers, this Chinese smartphone fully enhances your connectivity. Being able to insert two SIM cards that can be connected to different 4G network providers simultaneously ensures that, no matter where you are, you will always be able to stay connected to the outside world. Its Dual-Band Wi-Fi and 4G connectivity provide you with the fastest data speeds out there, meaning that a laggy internet connection will be an issue of the past. With this lightning fast internet connections, you can be assured that you’ll always be able to stay in touch with your friends and family back home. Packing a powerful Quad-core CPU that has been clocked at 1.5GHz; the Nomu S20 is capable of running the latest apps, games, and movies without dropping a frame. Its 3GB of RAM additionally provides you with all the power needed for excessive multitasking sessions, allowing you to take the absolute most out of your Android phone. Whether you like to play games, stream HD movies online, or enjoy the latest mobile applications - this rugged phone is guaranteed to handle all your demands with ease. With 32GB of internal memory, you can make sure that there will always be some space left for you to save and store your favorite media and files that now can be carried along anywhere you go. The Nomu S20 comes with a 12 months warranty, brought to you by the leader in Chinese smartphones as well as wholesale electronic gadgets..